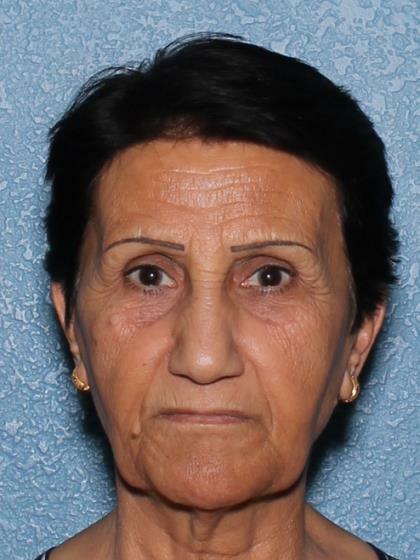 On 07/02/2018 Nazi's family reported her missing from her residence in the area of West Royal Palm Road and North 21st Avenue in Phoenix, Arizona. Nazi's family said she walked away from the residence on foot towards an unknown direction. Per Nazi's family she may appeared confused and disoriented when contacted. Anyone having information regarding this case is asked to contact the Phoenix Police Department's Missing Persons Unit at (602) 534-2121 or (602) 262-6141.